When the staff indicated the idol’s family’s seat, V’s face lit up with a happy smile. On December 31, BTS was one of the groups to attend the New Year’s music show MBC Gayo Daejejun. At the end of the program, the members all waved and bowed to fans. 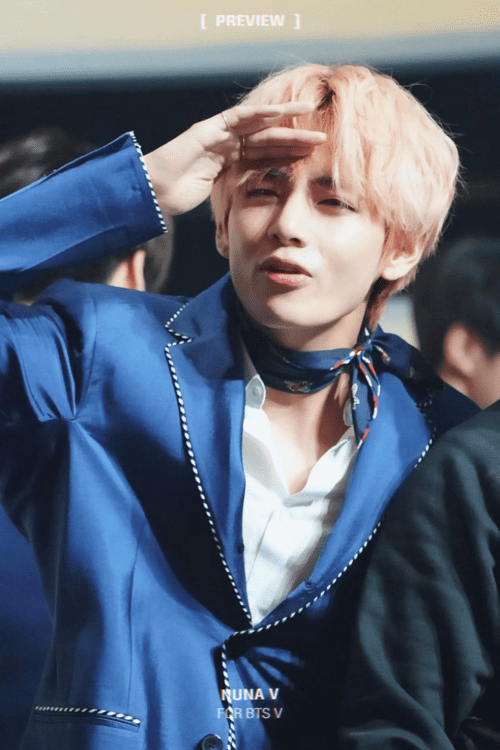 V caught attention while acting like he was finding someone on the stage. Turns out, he was looking for his parents. 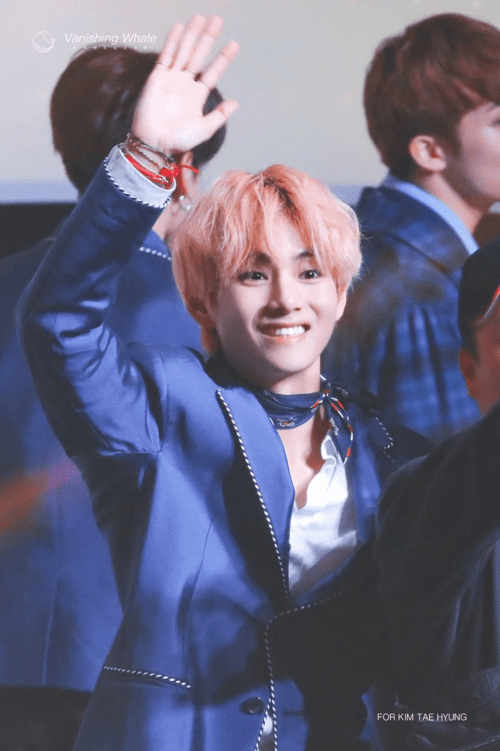 According to the videos recorded by fans, after bewilderingly searching, V turned to ask the staff: “I don’t see my parents, where are they?” When the staff indicated the family’s seats, V‘s face lit up with a happy smile. He waved to his parents and shouted an English sentence: “Appa, put your hands up!”. Video recorded V’s lovely moment is going viral. ARMY community is sharing this video with compliments on V‘s warm gesture. Even though he’s a 24-year-old global star, V is still a child at heart. On New Year’s Eve, he still wants to see his parents – relatives whom he rarely meets because of his busy schedule. Many fans commented that V looked like a first-grader wandered to find his parents on the first day of school. This is the little boy V at school. So far, V is famous as a male idol who always mentions his parents with pride. He once said the “hero” in his heart is his father – a wonderful man who can do everything in the world. V also showed his phone wallpaper to fans which is his parents’ image. 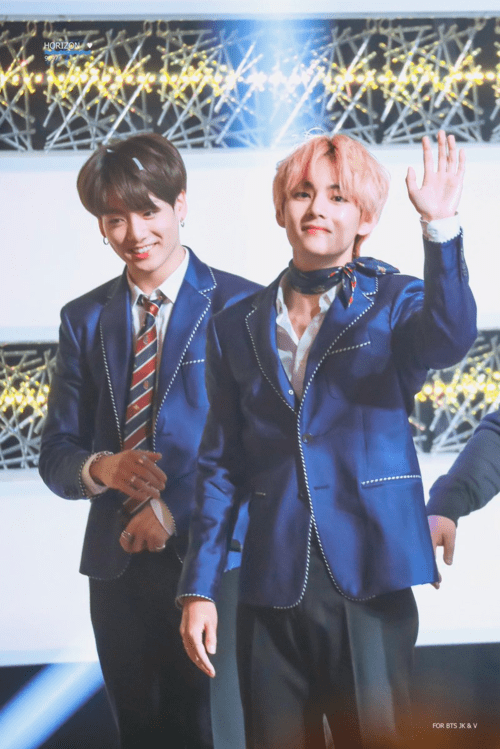 In his speeches at award ceremonies, the singer never forgets to thank BTS’s parents.